The Ultimate 365 polo shirts are made from lightweight 4 way stretch polyester material, with reinforced seams extra durability. Adidas Mens Ultimate 365 3 Stripes Heathered Polo Shirt - Grey/Black/Yellow. The Ultimate 365 polo shirts are made from lightweight 4 way stretch polyester material, with reinforced seams extra durability. 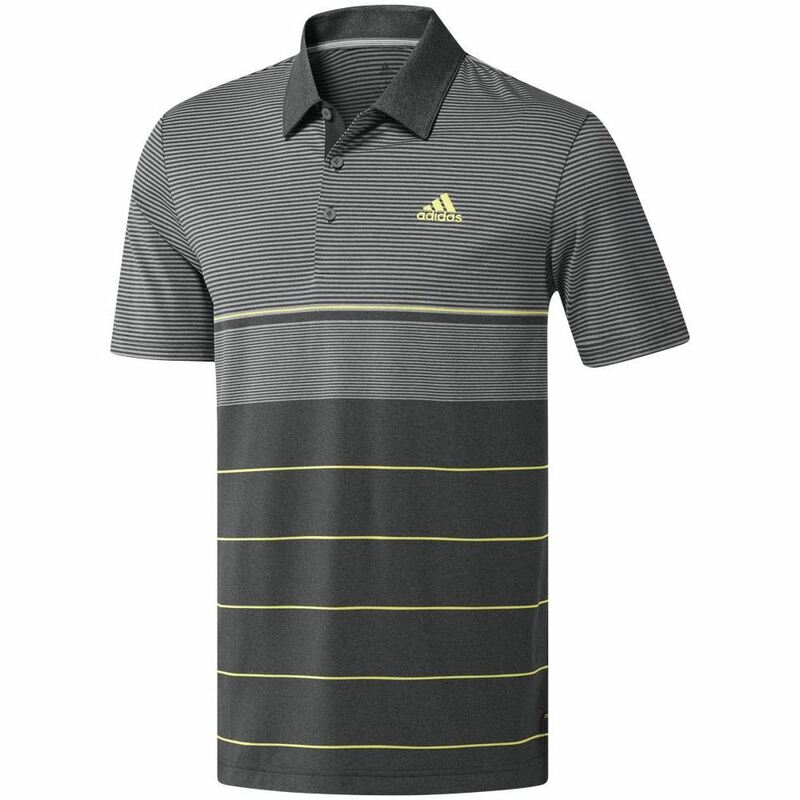 Adidas Mens Ultimate 365 3 Stripes Heathered Polo Shirt - Grey/Yellow. The Ultimate 365 polo shirts are made from lightweight 4 way stretch polyester material, with reinforced seams extra durability. Adidas Mens Ultimate 365 3 Stripes Heathered Polo Shirt - Navy/Blue. The Ultimate 365 polo shirts are made from lightweight 4 way stretch polyester material, with reinforced seams extra durability. Adidas Mens Ultimate 365 Camo Embossed Polo Shirt in Blue/Navy. The Ultimate 365 polo shirts are made from lightweight 4 way stretch polyester material, with reinforced seams extra durability. Adidas Mens Ultimate 365 Camo Embossed Polo Shirt in Grey/Green. The Ultimate 365 polo shirts are made from lightweight and breathable 4 way stretch polyester material, with reinforced seams extra durability. This shirt also has Climacool technology. Adidas Mens Ultimate 365 Climacool Solid Polo Shirt in Luminous Yellow. The Ultimate 365 polo shirts are made from lightweight and breathable 4 way stretch polyester material, with reinforced seams extra durability. This shirt also has Climacool technology. Adidas Mens Ultimate 365 Climacool Solid Polo Shirt in Purple. The Ultimate 365 polo shirts are made from lightweight 4 way stretch polyester material, with reinforced seams extra durability. Adidas Mens Ultimate 365 Dash Stripe Polo Shirt in Blue/Navy. The Ultimate 365 polo shirts are made from lightweight 4 way stretch polyester material, with reinforced seams extra durability. Adidas Mens Ultimate 365 Dash Stripe Polo Shirt in Grey/Blue. The Ultimate 365 polo shirts are made from lightweight 4 way stretch polyester material, with reinforced seams extra durability. Adidas Mens Ultimate 365 Dash Stripe Polo Shirt in Grey/Yellow. The Ultimate 365 polo shirts are made from lightweight 4 way stretch polyester material, with reinforced seams extra durability. Adidas Mens Ultimate 365 Heather Blocked Polo Shirt - Purple/Grey. The Ultimate 365 polo shirts are made from lightweight 4 way stretch polyester material, with reinforced seams extra durability. 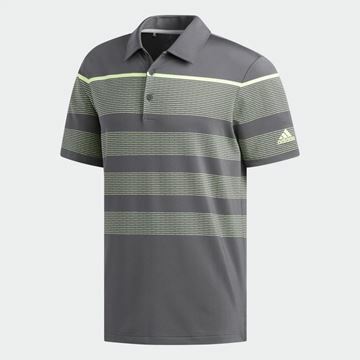 Adidas Mens Ultimate 365 Solid Polo Shirt in Grey. The Ultimate 365 polo shirts are made from lightweight 4 way stretch polyester material, with reinforced seams extra durability. 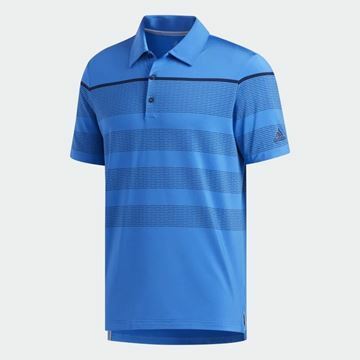 Adidas Mens Ultimate 365 Solid Polo Shirt in Blue. The Ultimate 365 polo shirts are made from lightweight 4 way stretch polyester material, with reinforced seams extra durability. 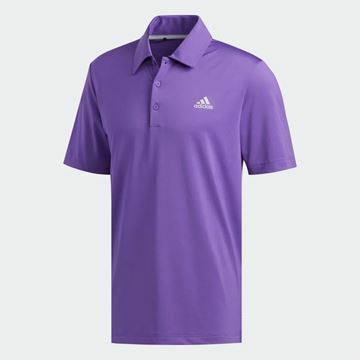 Adidas Mens Ultimate 365 Solid Polo Shirt in Purple.